This is definitive short Tibet vacation. Combining equal parts leisure and adventurous overland travel. Starting from Kathmandu, you will fly over the eastern Himalaya to the mystical Tibetan capital of Lhasa. This most spectacular flight over the Himalayan range will take you past , Mt. Everest (8850 m), Mt,Makalu (8478 m), Mt. Kanchejunga (8585 m) and a host of other mighty Himalayan peaks. Your first three days are spent sightseeing in and around Lhasa. Then, you will begin your overland journey back to Kathmandu via Gyangtse, Xigatse, Tingri, Nyalam and Zhangmu. The distance covered is nearly 1000 km on four wheel drive vehicles and bus. Although the road from Lhasa to Kathmandu was opened in 1984 it has finally been metaled, putting to rest the agony stories of the ride fitting the initial descriptions of travelling inside a vacuum cleaner dust bag! However, once you cross over into where the road is mostly over a mountainous and remote terrain where repairs are not only difficult but, costly and landslides and floods frequently damage major portions, there can be some rough patches. However, even though the looks bely it the highway is a very major trade artery for Nepal and damages are usually repaired quickly. Generally good for families with older children and for seniors who are fit in addition to most adults. Day 01 Your passport will be collected from you by our representative to process your special Chinese visa for Tibet. Depending on the arrival time of your flight sightseeing of Kathmandu. Day 02 In Kathmandu to make final preparations for your trip to Tibet. If you feel that you are sufficiently prepared then sightseeing of Patan Durbar Square, Swoyambhunath and Bodhnath. Day 04 Today will be spent exploring palaces including the Potala Palace and the Norbulingkha. 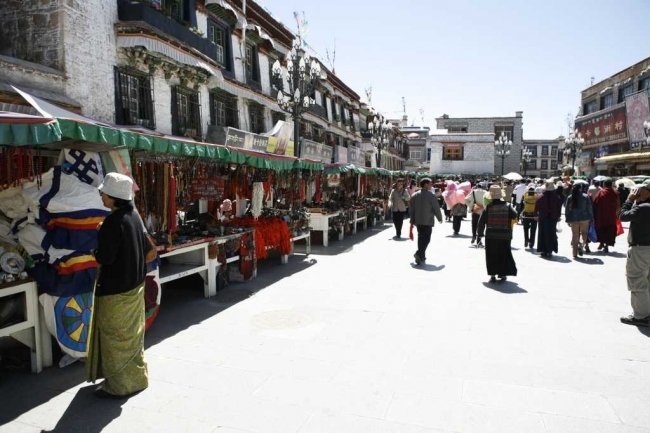 Day 05 Sightseeing in Lhasa including the Drepung Monastery, the Jokhang Temple and the Barkhor Bazaar. Day 10 Cross the border to Kodari and drive to the 114 km to Kathmandu. Day 11 Sightseeing of Kathmandu Durbar Square, Pashupatinath and Bhaktapur. Day 12 At an appointed time, transfer to the airport and depart from Nepal.